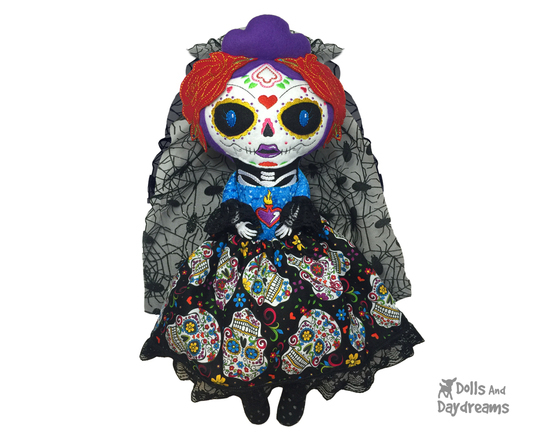 The NEW Dia de los Muertos pattern is the Last Halloween Pattern Release this Year .. and she is spooktacularly stunning! So much detail -Her 'painted skull', delicate bone hands rose headdress and flaming heart chest piece! WOW! Only 3 Hoopings - 4 hoop sizes - So mu detail & yet so Fast & Easy! Includes Skirt and Flower Headdress Vale tutorials! Grab the ITH Day of the Dead Pattern Here! Use felt Appliques or Trace with Fabric pens, Super fast and fun with OOAK results! 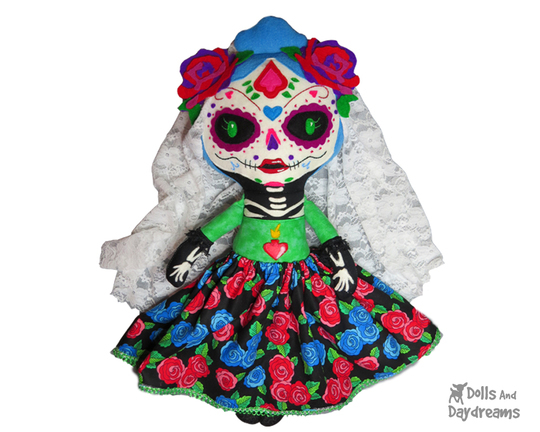 Grab the Day of the Dead Sewing Pattern Here! Find more spooky cuteness in our Halloween Pattern Section!